Hi guys ! Today, I wanted to share one of my place to eat in Paris ! 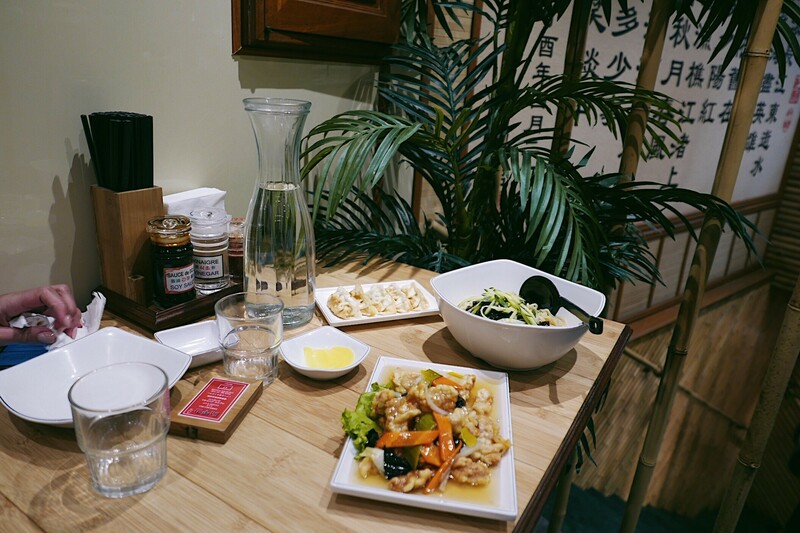 Yes, you will think that I always share asian restaurant but come on… Asian’s food is so good. Right ? So one day, I was strolling to Belleville to find a place to eat and I just discovered a korean barbecue for only less than 10 euros ! And I was like, is it good ? Because I was thinking that was cheap and usually korean bbq cost like between 15-20 euros. I was curious, I wanted to try and I saw that the restaurant was full so which meant that’s a good restaurant. So my first time I tried the beef bbq and I was thinking that is ok but then I tried the pork bbq and I just love it so bad ( look like bacon too me). It comes with a bol of rice and some korean dishes like kimchi, this is so yummy. Also I like order dumplings that I share with my friend. It costs me 12 euros and I think it’s a really good deal to eat well for a good price in Paris.